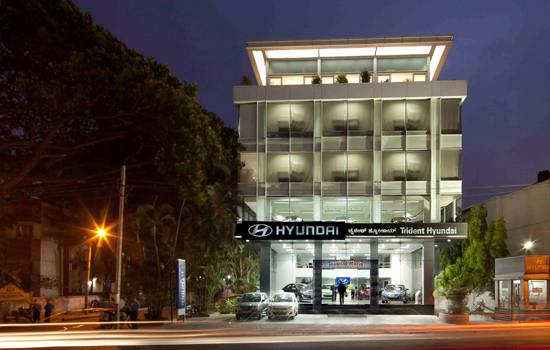 No 1, Lower Palace Orchards, Sankey Road, Bangalore - 560003. No 46/4, Garvebhavi palya, Next to Narshimha Theatre, Begur Hobli, Bangalore - 560068. No.9, HAL Old Airport Main Road, Kodihalli, Before Leela Palace,Bangalore - 560038. 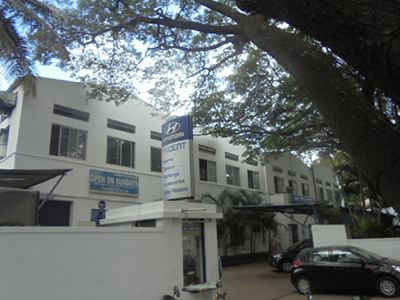 No.26/4B, Building "A", lndustrial Suburb, 1st Stage, Rajajinagar, Bangalore - 560 055. 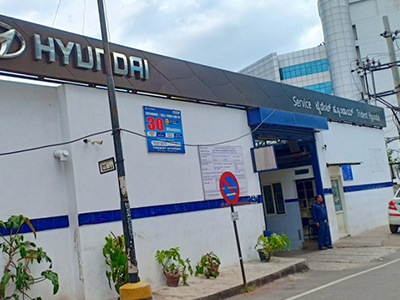 Sy.No.65/1, Venkatala Village Yelahanka Hobli, Kial Road Bangalore- 560064. 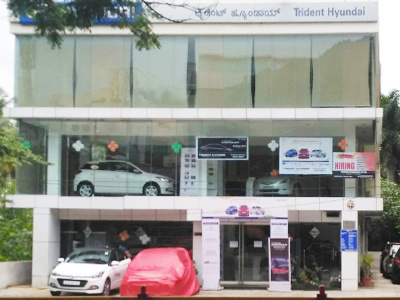 Trident, Karnataka's first Hyundai dealer offers you a bouquet of services to help you with your automobile needs. 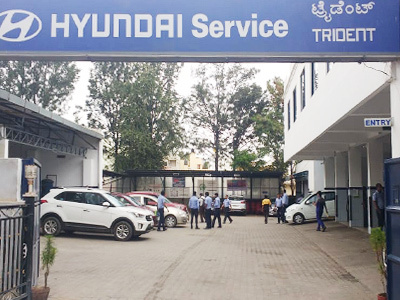 Right from finance to insurance, service to exchange, trust Trident Hyundai to offer you the best. 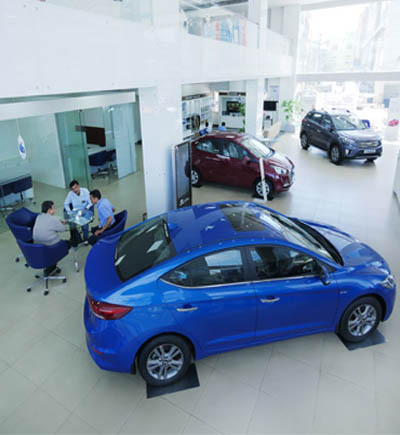 Get the right loan for your car with Trident Hyundai in minutes. 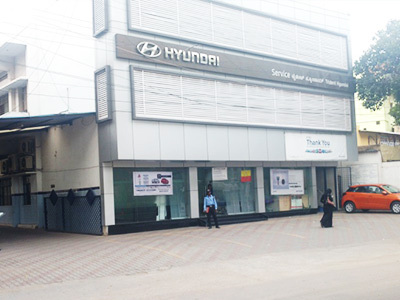 Find Karnataka's No.1 Hyundai dealer Showroom and Service centre near you. 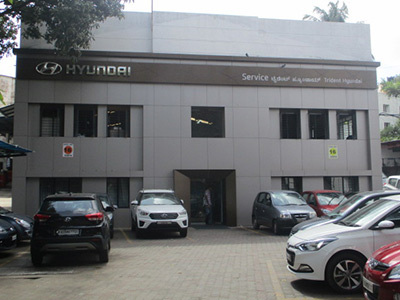 Authorised Hyundai Car Dealer in Bangalore. 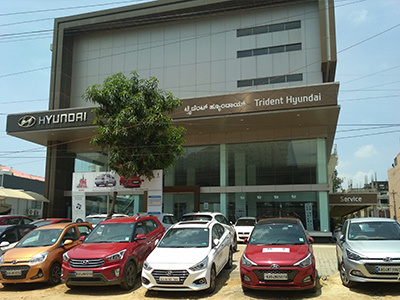 Trident Hyundai was founded in Sep 1998 with a motley team of 22 young members. 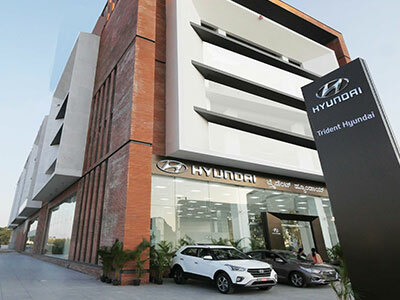 From one showroom and one service centre, Trident has today grown to be one of the largest Hyundai dealerships in the country. 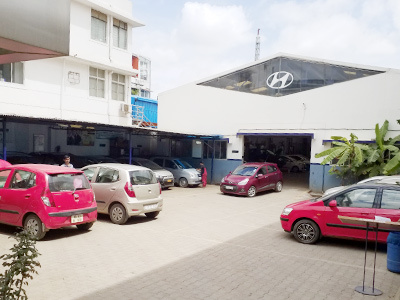 Sales now peak to over a thousand cars a month and the network has increased to 5 showrooms and 9 service centres. 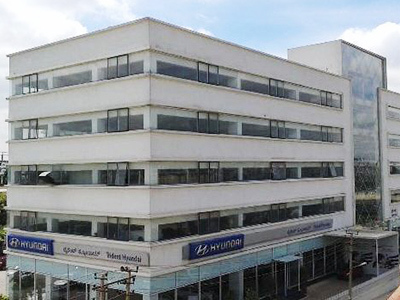 Customer Service has been the cornerstone of Trident's growth story. 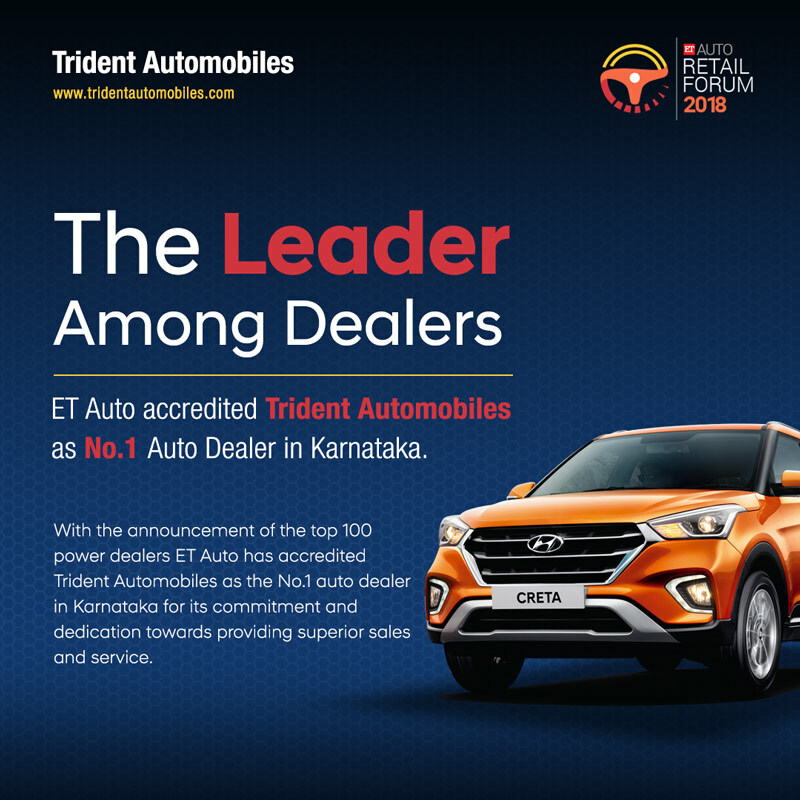 From being the first Hyundai dealership to be ISO certified to winning numerous accolades for outstanding sales and service delivery, Trident has set many a benchmark for the industry. Our motto, "Drive Home A Relationship! ", has inspired us to provide outstanding service to our customers over the years. 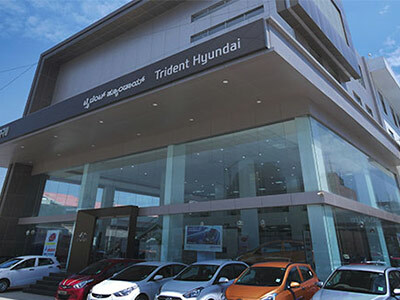 Thank you for visiting Trident Hyundai website. We will contact you shortly.